The old crescent of 5. November was very close to venus, when it rose in the south east. 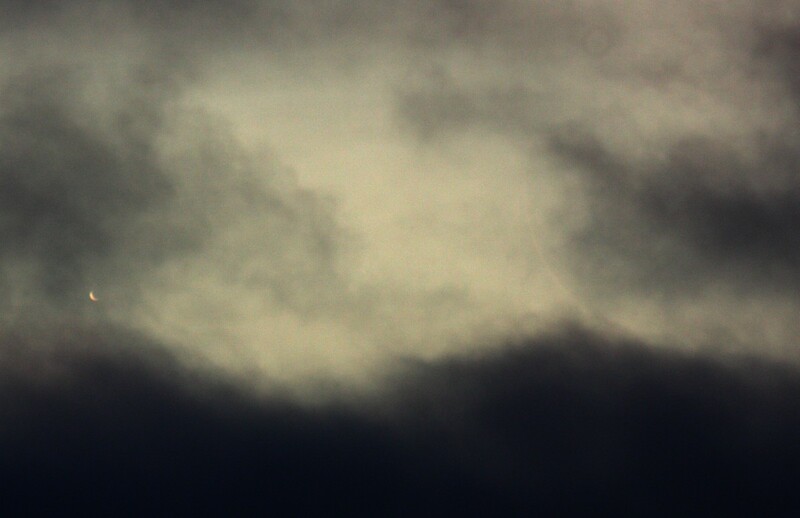 Alas, layers of clouds made the observation difficult. Arriving somewhat late at the site, i missed the actual moonrise, but had my first view of venus, when the moon had already entered the lowest layer of clouds. Still, as i took many images with a 500mm lens, i could identify the crescent on these images later. 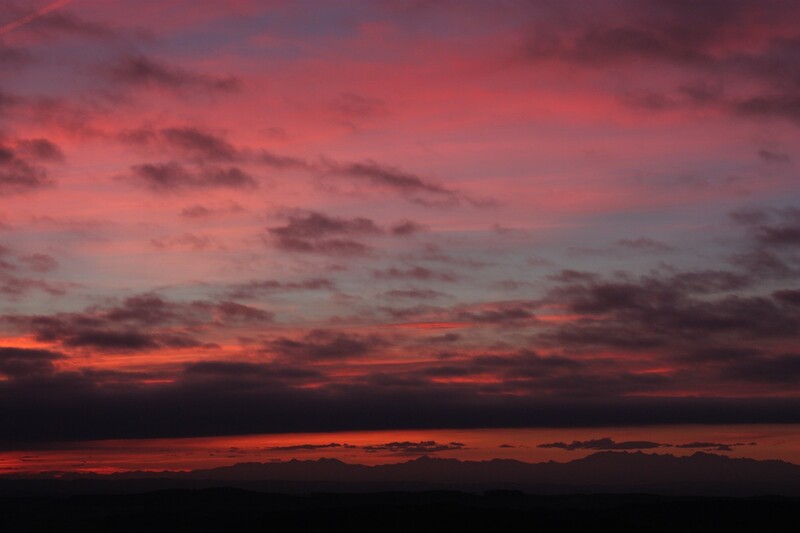 The multiple layers of clouds, illuminated by the twilight, were a nice sight . Venus and lunar crescent (right half of the image, slightly above venus) around 06:50. 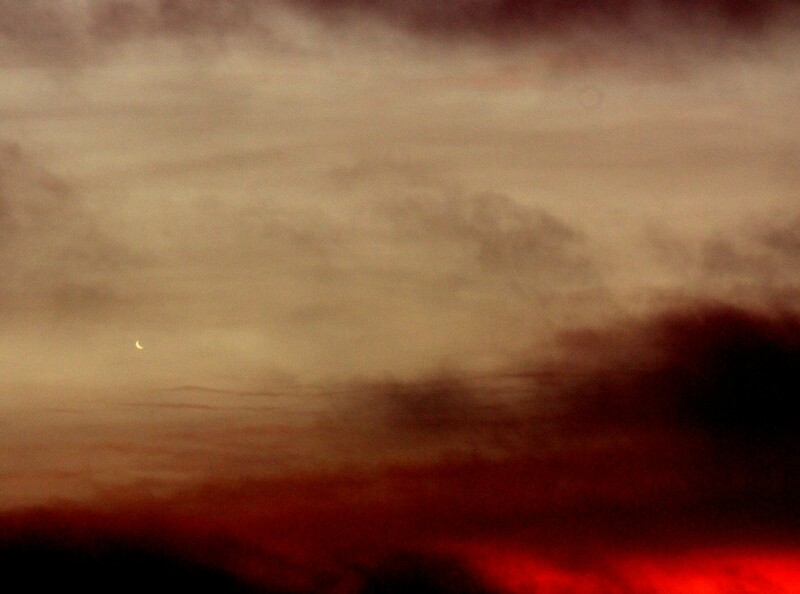 Venus and lunar crescent through the clouds around 06:57.